Click the button below to add the Copper Bathtub '8924' Freestanding to your wish list. Wonderful combination of freestanding copper tub with clawfoot style. 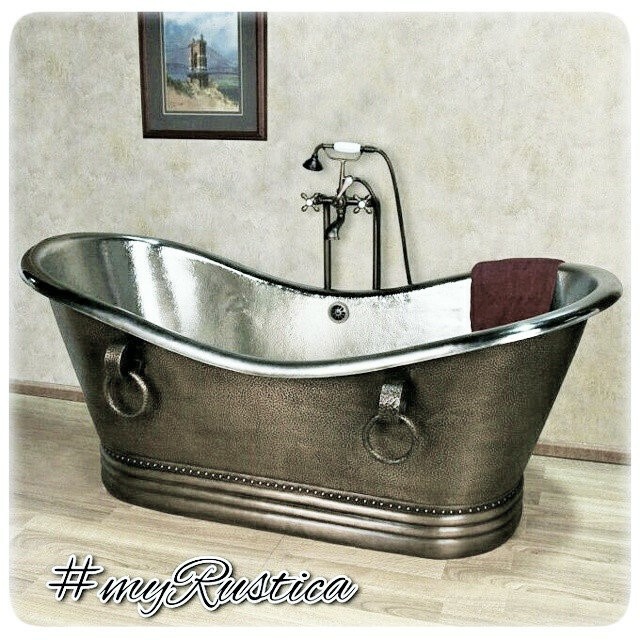 This Rustica copper tub as shown on the detail pages was hand hammered and then covered with tin metal. The technique involves heating the metal to its liquid state and then pouring on to copper surface. It has mat finishing similar to egg shell look. You have choice of buying this freestanding tub with over-flow tubes attached or without them as well as selecting the tub length. Since it is double slipper style two end walls are higher than the tub sides.